Such is the way Pulitzer-winning author Viet Thangh Nguyen defines himself. This undoubtedly holds true for the characters of Nguyen’s latest work of fiction The Refugees. In fact, this sentiment lies at the very heart of the collection and serves to connect each and every story in the book. 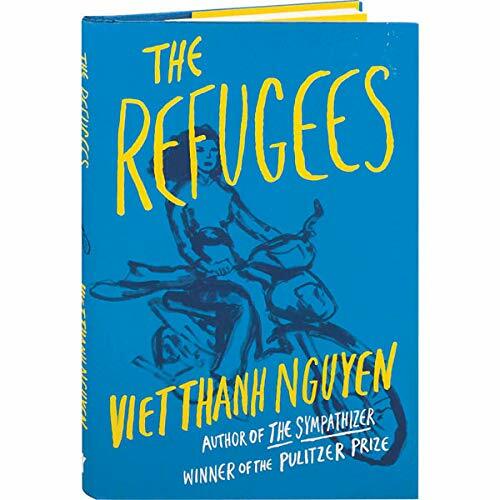 Written over a period of over 20 years, The Refugees is a heart-rending work exploring themes of identity, culture, family, immigration, alienation, and the desire to belong. The Refugees portrays an array of characters that, at first glance, do not appear to bear much resembles to one another. Some are in the prime of their lives, while others are at the end of theirs. Some have just arrived to a new country under terrifying circumstances; others have been living as refugees for years while still others have not even left the country in which they were born. The experiences that these characters go through do not seem to be very similar. One young woman who has been living as a refugee for a number of years is haunted, physically and metaphorically, by the ghost of her dead brother. A young man suffers profound culture shock upon arriving to San Francisco to live with two openly gay men; a concept that he’s never witnessed before. An elderly woman is thrown into emotional turmoil when her husband, who is suffering from dementia, begins to call her by the name of his mistress; a mistress she never knew existed. A young woman living in Vietnam is forced to question her ambitions and what she wants out of life when her half-sister, seemingly having accomplished everything, comes by for a visit. But as these characters’ stories begin to unfold, it becomes clear that what connects them isn’t the similarity of their experiences but rather the alienation they feel in their own lives and the quests they’re forced to undertake in search of their own identities. What’s striking about these characters is that their histories, personal or national, have become ingrained into their very bodies. They are force to carry their histories with them wherever they go. Their memories, or in one case the slipping of memories, becomes a burden that they have to actively confront every day, in the vain hope that they can extrapolate their selves from the past. The woman who speaks to his dead brother’s ghost isn’t just haunted by him; she is haunted by the memory of how he died trying to save her from being raped on a refugee boat. The young man living in San Francisco is thrown into an identity crisis and forced to question his own sexuality. When her husband keeps referring to her by his mistress’ name, Yen, Sa is left with no choice but to adopt her name and, thus, her identity. In this way, Sa becomes a refugee living someone else’s life for the second time in her life. Each story encountered in The Refugees tackles a different aspect of the alienation, exile and the desire to belong that refugees experience on a daily basis. Based partly on Nguyen’s personal experiences as a refugee, the collection is a captivating testament to the dreams and hardships of immigration. What makes The Refugees into a sucker-punch of a book isn’t just how intricately woven its plots are. Rather it is how personal each story feels. This effect is created by the first-person narrative that reigns supreme in the collection. Each character has the opportunity to tell his or her story, through his or her perspective. Thus the reader is placed at the center of the characters’ minds and sees the world through their eyes. The reader soon becomes engrossed in the simple yet striking narrative style of the collection. The plain yet poetic descriptions, the sharp observations rendered by the narrator-characters show a depth of pain and emotion that is foreign to the reader. Nevertheless, the reader soon becomes intimately acquainted with this depth of emotion and finds that she cannot escape. Much like the narrator-characters, she is trapped in an unfamiliar and unknowable world. Yet she cannot even think to put down the book. The hours while away. The clock strikes midnight. The reader knows that she should go to bed. Yet she turns the page. Just one more story, she tells herself. Zeynep Sen is a reporter and columnist at The Turkish Voice and has been a literary agency representative and translator of novels and plays from English to Turkish.